Free Movies at Goodrich Theaters in Chicago - March and April 2013 | A Savings WOW! 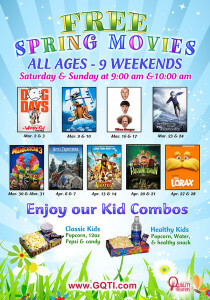 These free movies are on Saturday and Sundays at 9 and 10am. Tickets are first come, first served. Get your family and friends together and have a great day at the movies!